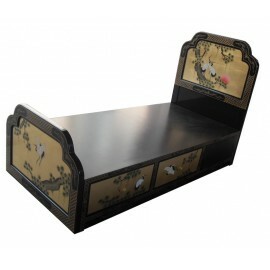 Chinese bed There are 8 products. 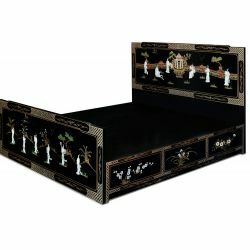 Bed in lacquer of China on subwoofer cabinet with 6 drawers.The case of this chinese bed that supports the mattress also acts as a box spring is agrèmenté of 6 storage drawers.Dimensions: w140 x L190 cm. 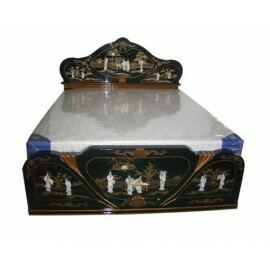 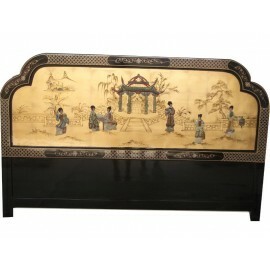 The head of the bed lacquered in ChinaDimensions: L182 x H122 cm. 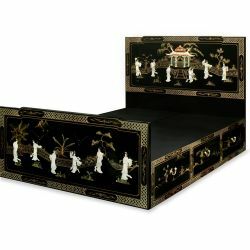 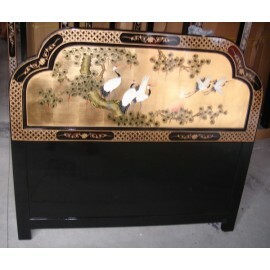 The head of the bed in lacquer of ChinaDimensions: L162 x H122 cm. 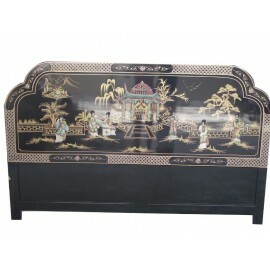 The head of the bed in lacquer of ChinaDimensions: L138 x H122 cm.